Khujand in Tajikistan is one of Central Asia’s oldest cities, and even had a place in Alexander the Great’s empire, being named Alexandria Eskhata during the time. It plays a strategic role on the Silk Road, connecting Samarkand to the fertile Fergana Valley. Tajikistan’s second city lies in a lush valley surrounded by mountains with orchard-lined slopes and a mild climate. The complex history of Arab occupation in the 8th Century and resistance to the Mongol horde, along with its trading position making it one of the most important cities in terms of science, culture and industry in northern Tajikistan make this city worth a visit. 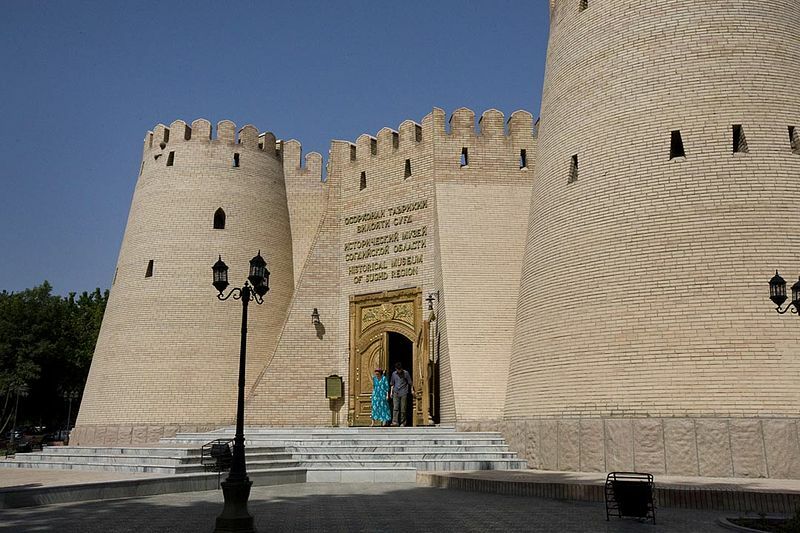 Khujand Fortress sits at the heart of the city and once housed the castle. Archeological evidence found the fortress was build around the 6th-5th centuries BC and grew over time. It became a city wall during the time of the Silk Road, and gained the reputation for being one of the most inaccessible fortresses in Central Asia. The Mausoleum of Sheikh Muslihiddin is a large memorial complex in the center of the city, housing the tomb of Muslihiddin Khudjani, the former ruler of the city in the 12th century, who was also a poet. The mausoleum has seen changes over its complex history, and is now a complex of cathedral mosque, a 19th century minaret and ancient burial sites. Panjshanbe Bazaar is a daily market near a 19th century mosque. Relive the atmosphere of the Silk Road trade a this open air market, which also has outdoor photo studios. Tajik cuisine is a mix of influences from the neighboring countries, like Russia, Iran, Afghanistan and Uzbekistan. Plov is one of the major dishes found in Tajikistan, which you’ll find in a number of varieties all over the country. In Tajikistan, Osh is the local variety. Soups are also big in the local cuisine, along with a spread of dried fruit, halva and nuts. Sashlik is especially good in Khujand and worth trying when visiting. It’s a type of shish kebab, where the meat has been cut into cubes and marinated before grilling over coal. Tajikistan’s second city is located on the north of the country, and is an industrial hub and the strongest economy in Tajikistan. It’s an active city where that still mostly deals with trade. The city still preserves its Silk Road heritage in that it is still the scientific and cultural center of Tajikistan with many writers and musicians calling it home.